Soulie’s 3! Glow got a Rody for her birthday and ever since then, all the girls have been loving it. 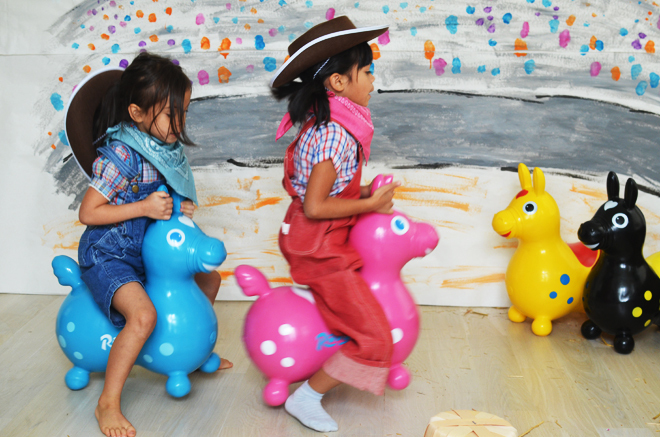 If you never heard of a Rody, it’s a little bouncing horse for kids. 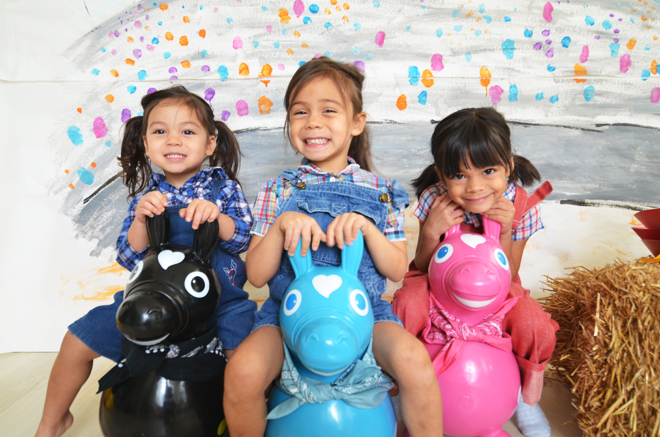 When we asked Soul what she wanted for her birthday, she said she wanted her own Rody. We showed her a picture of all the colors and she picked black. 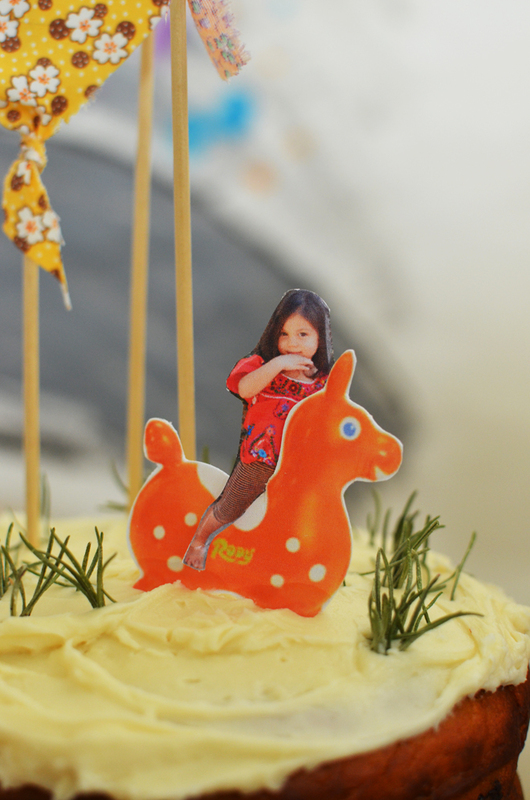 Thus, we knew throwing a mini rodeo was the perfect plan to celebrate her turning 3! Ben and I got up early to prep her mini party, since it was in the morning, we broke tradition and she didn’t get breakfast in bed. We made waffles, I finished making the cake, which I started the night before, and did the party decorating (the backdrop was painted the night before). Then when the girls woke up, we let them watch a little something just until our little surprise for her was ready. 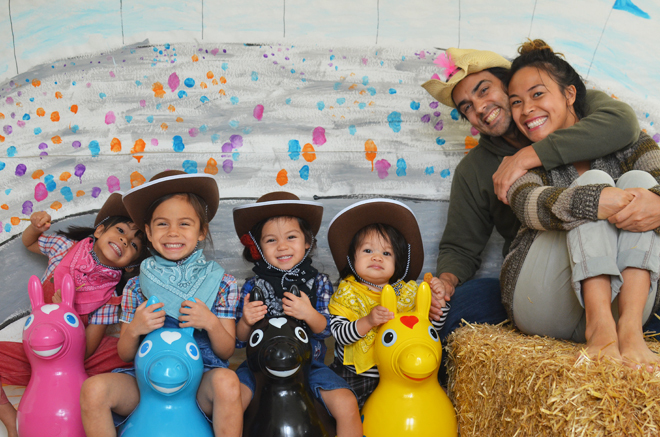 We got all the girls dressed up in our closest rodeo attire, I found Soul’s vintage overalls on etsy and I knew that little Rody-ish looking character would be perfect for her birthday outfit. 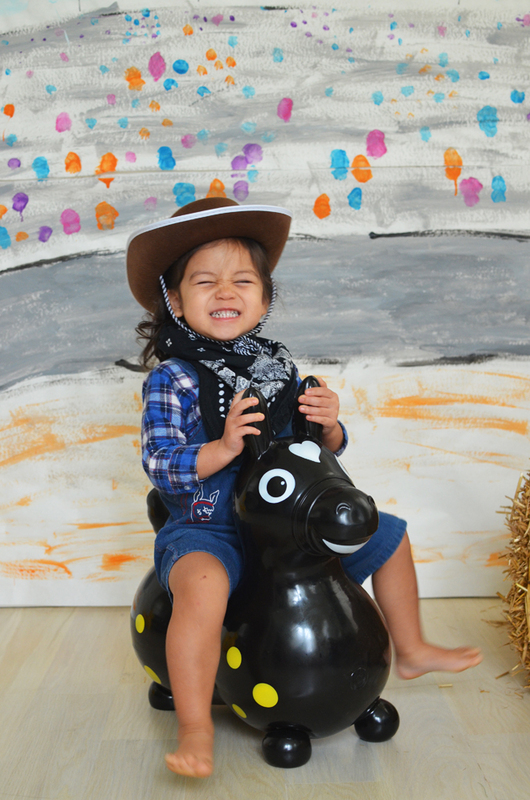 Soul was so happy to finally get her black Rody! The big girls were super excited that even they got surprises! Glow could care less about anything and all she wanted were the waffles. 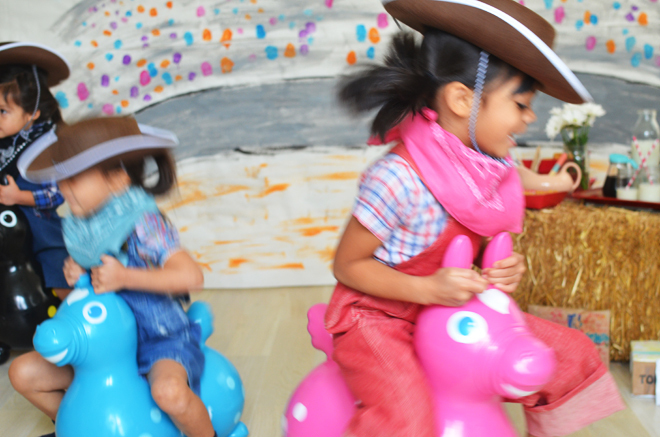 They got little cowboy hats, coordinating bandannas, and then we got the party started. 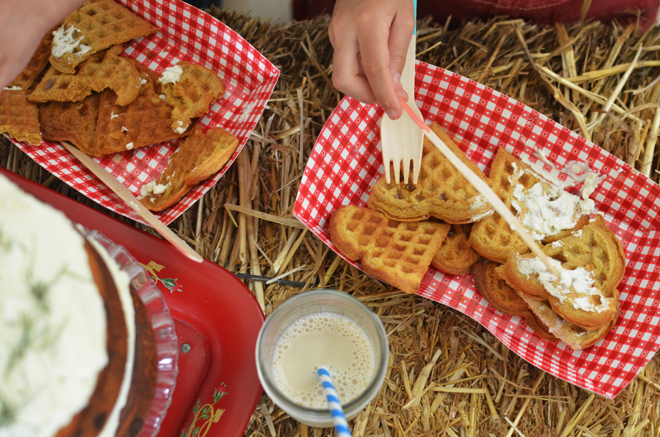 We served them some pumpkin waffles (thanks to the Trader Joe boxed mix) with whipped cream and syrup (we loaded up on that sugar!). Of course Soul got her Happy Birthday sung with a pumpkin and chocolate chip cake. That girl loves all things sugary so I knew this was all right up her alley. After they ate, we set up a little obstacle course with some little baskets and the girls got on their Rodys and were bouncing around racing each other. Glow still didn’t care about that and just kept on eating waffles. 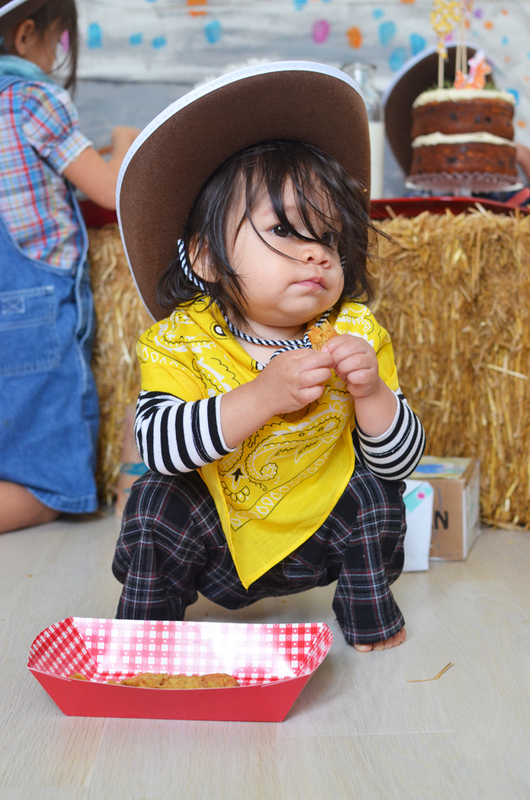 It was a good morning of celebrating and Soulie was one happy little cowgirl. I can’t believe my little Soulie is 3! Or as she says, “Fwee!” She’s a firecracker and someone else recently described her as the little ringleader. That sounds about right. She’s the moody one and you never know which Soul you’re gonna get… sweet or feisty! That little girl keeps all of us on our toes and we love her so much. Plus, how can we resist her big, little teethy smiles?! It’s so cute! Happy Birthday Soulie!!! We love you!!! where things are from: rodys, treehouse kid & craft (except the black one that was hard to find). bandannas, michaels craft store. hats, party city. milk jug, c/o addiah. syrup dispenser, vintage. overalls, vintage. hay, local farm. red paper food basket, michaels craft store. OH MY SOUL!!!!!!! <3 <3 <3 HAPPY BIRTHDAY!!!!!! how stinking cute!! 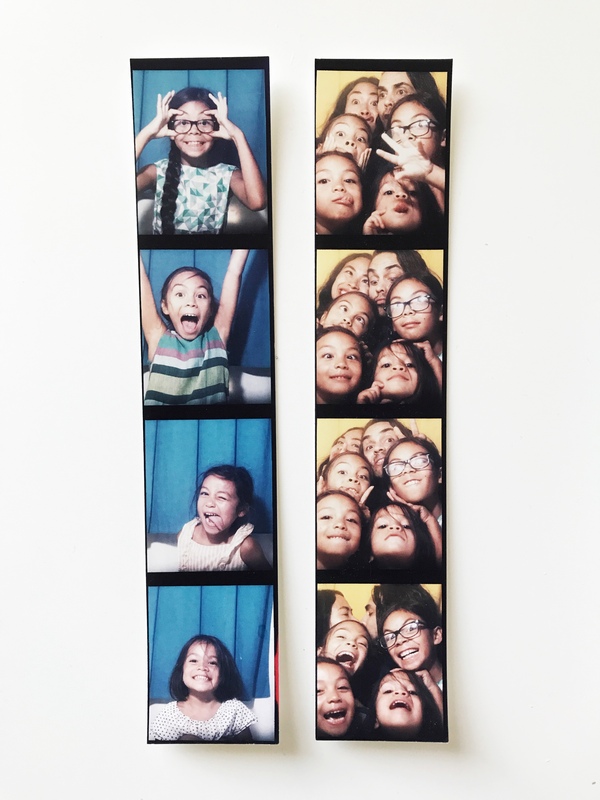 you are creating such special memories with your kids, i love it! also, that cake looks delicious. I TRULY love the family shot! awww. This is darling!! How wonderful! I hope Soul had a wonderful time. Love the I’ll Fly Away song in the video. 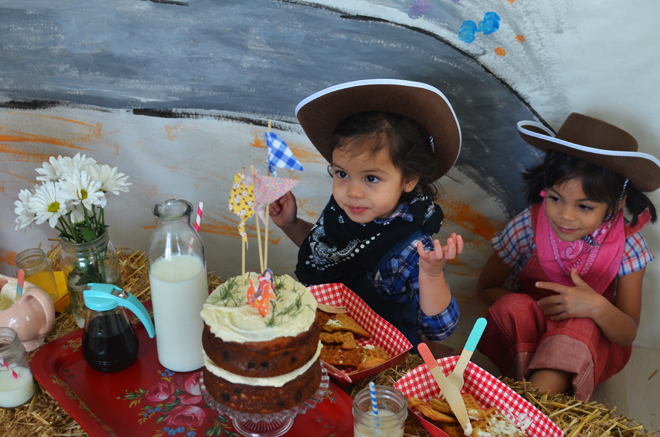 I aspire to have children’s birthdays half as cute as the ones you plan for the girls. So so adorable, rubyellen! 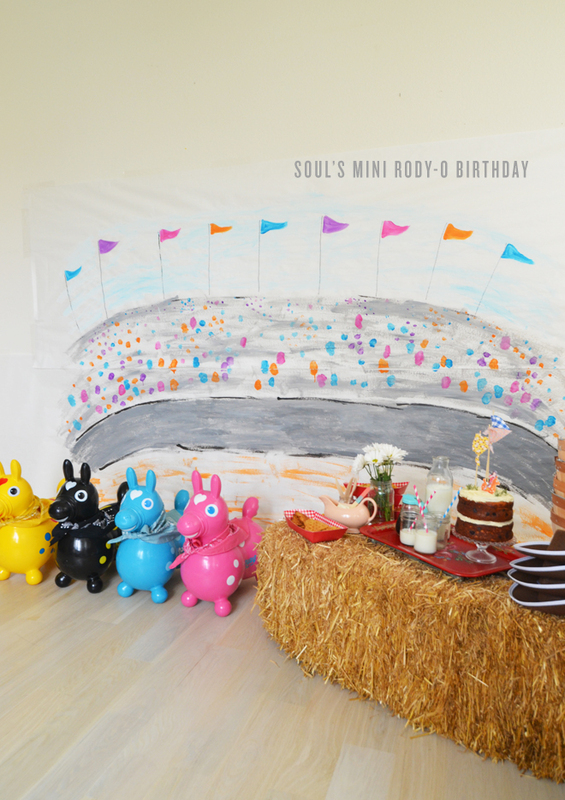 Happy Birthday to Soul!! 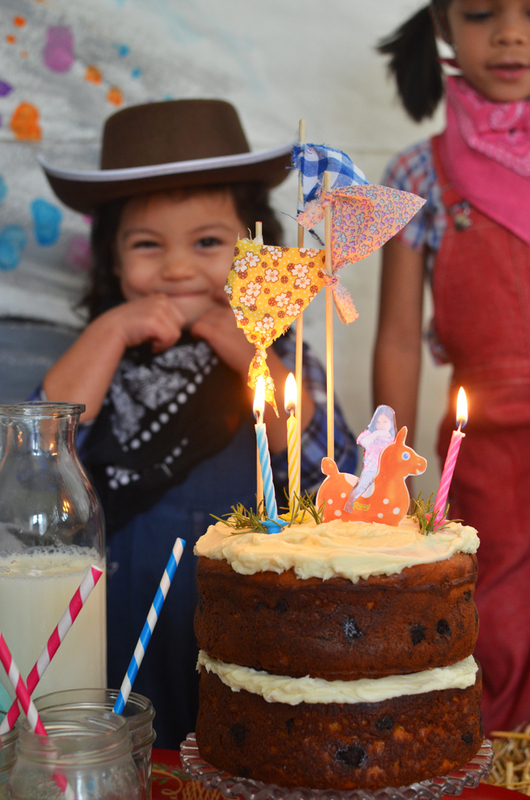 I love all your birthday party ideas!! 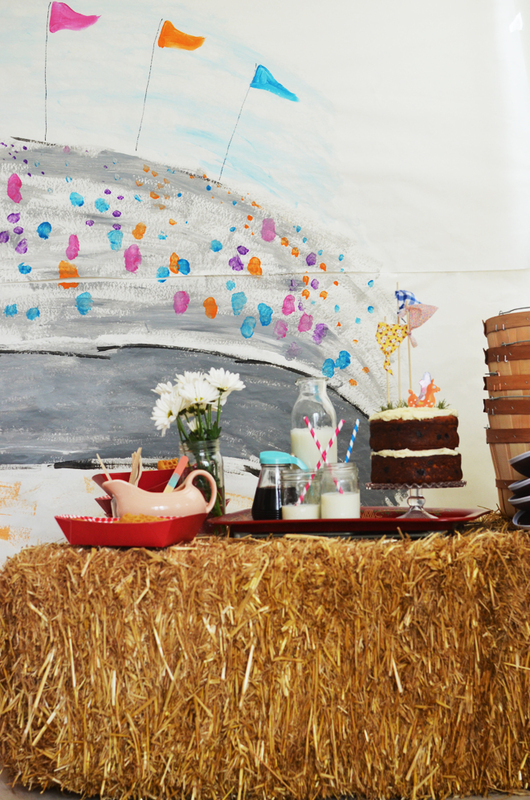 You should go into party planning! this is so fun!! what a sweet party!! I’ve been making the pancakes from the trader joe’s pumpkin box mix and YUMMM! I’d had it for months before trying & now we’ve had it two weekends in a row! 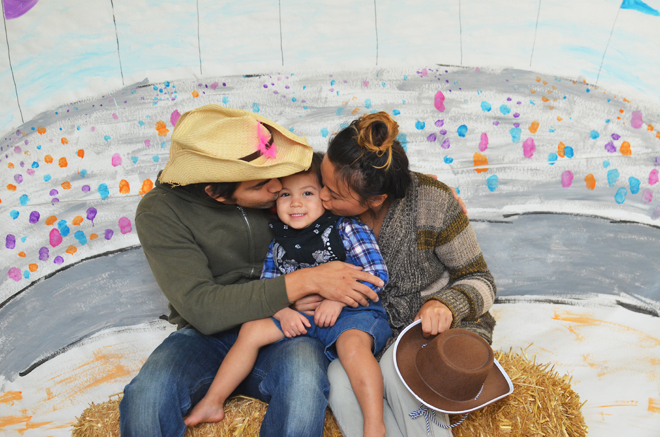 Your family wins the “most adorable family ever” award! Seriously, you guys are so cute. 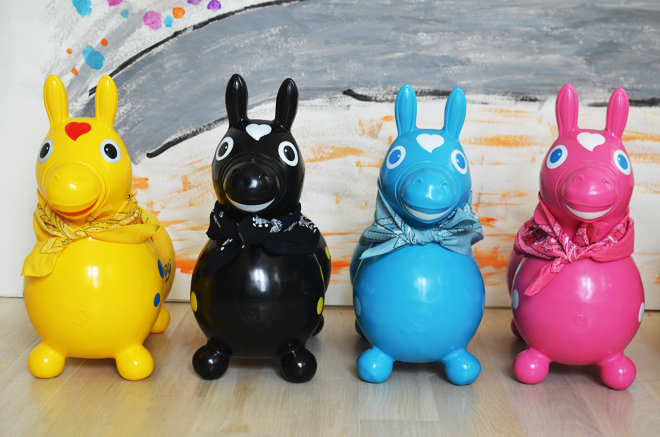 And ever since I saw Glow’s Rody, I’ve been itching to get one for my kids. Now it is definitely going on the Christmas list! OH MY WORD! SO SO CUTE! 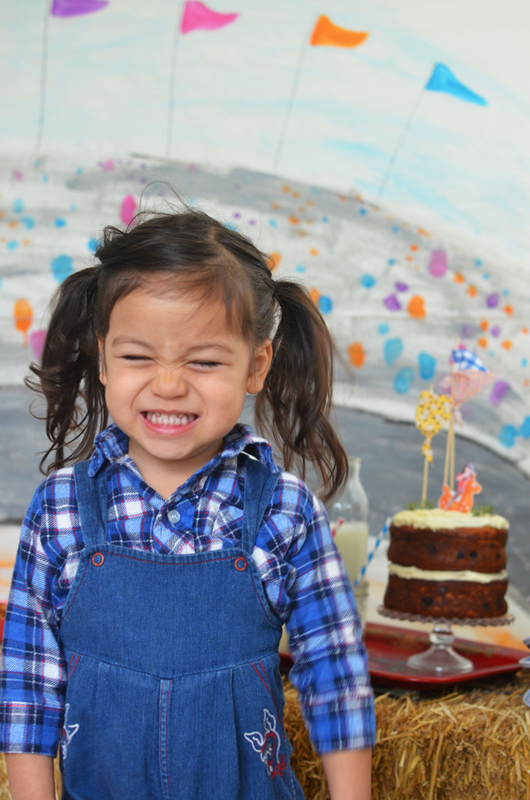 OMG she is sooo adorable, Happy 3rd birthday! All your girls are so beautiful. I just started following your blog a week ago and I love it! 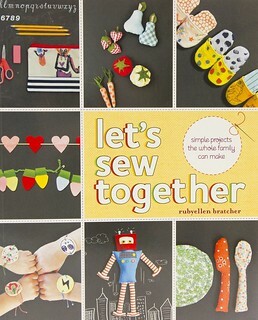 Thank you for sharing all the awesome crafts and tips. Have a blessed day. We just bought one of these for our three year old, he’ll be getting it for Christmas. What kind of pump did you use to pump them up? What a great party! You’ve such an adorable family! 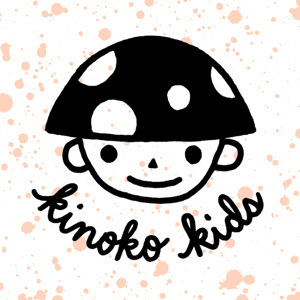 I stumbled upon your blog some time ago and have been hooked since. Love how cute your girls are!! With love faraway from Singapore! Ruby you rock these parties!!! how do you find the creativity and time to put it all together!! AMAZING! I guess you have many videos of the girls speaking, but I think this sweet video would have been even more awesome if possible if you included Soulie saying just a few words. It’s a very nice memory keepsake for me to be able to hear myself when I was little…it’s creepy too, hehe, but I can connect to that child I see better. 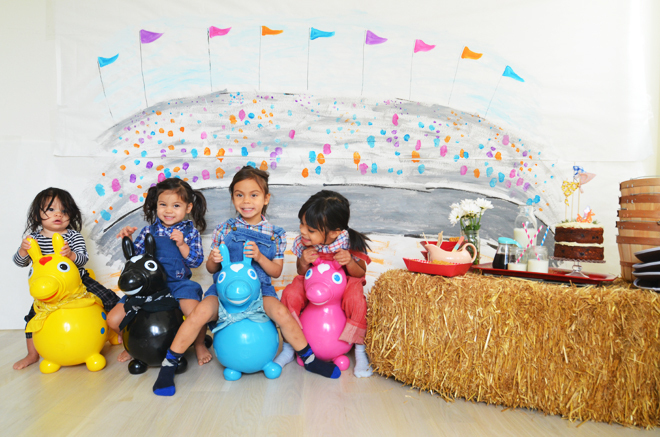 I discovered Rody on your blog on Glow’s birthday and I loved it! I remember started reading this blog when Soul was born, 3 years has passed wow! 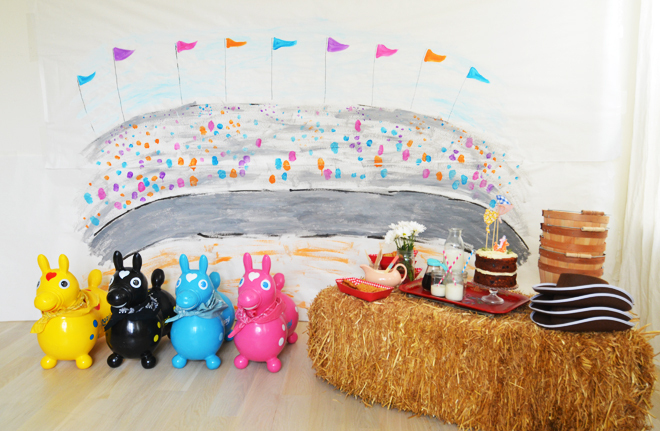 What a great idea for a mini party! I adore you’re family picture! Very very very cute! As usual! Unbelievably cute family! The cutest EVAH! 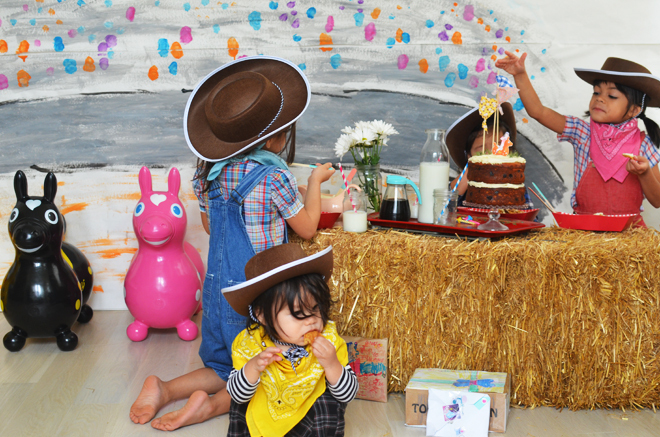 Very fun and cute birthday party! The video is the best. So cute. She can’t be 3 already?!!! I love those Rodys too… what a happy birthday! I love that you’re capturing everything now so you can remember them later! OMG how cute is that picture of you 6 !!! i loved it all so adorable ! love this!! are the rodys pretty durable. i’ve got 2 boys and they can destroy things. i was looking at getting a couple of rodys or benny the bulls. YES! they are definitely durable. they are from a nice thick material and I’m sure will withstand being played by boys! oh nice! will have to figure out what color to get. thanks!! Your family is so beautiful! 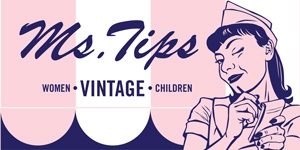 I love this blog and it has been a huge source of inspiration for me! I appreciate your style and how your incorporate your thoughts and religion into your blog. It is is very inspiring for me as a Christian mommy! I want to make a blog so badly but do not have time! Again thanks for sharing your wonderful life with us!